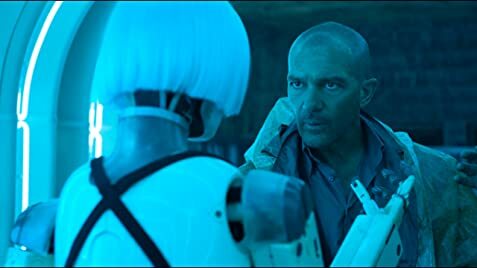 I remember when I saw the 2014 sci-fi movie Autómata, I had goose bumps. If you’ve seen the movie, you probably remember when Vernon Conway says, “Why is it so difficult for you to accept my orders if you’re just a machine?” And the Blue Robot responds, “Just a machine? That’s like saying that you are just an ape. When I think of it now, it doesn’t give me goose bumps anymore. In a matter of just three years, I hear so much about Artificial Intelligence that the dominance of robots in the human world doesn’t sound something unbelievable anymore. While reading top tech updates, I read at least one AI or Machine Learning (if not more) post every day. The banking and financial industry is not new to Artificial Intelligence. Now picture this. Bank branches and operation centers have no human tellers but robots to greet you. Or perhaps you turning to AI apps for some serious financial advice. Customers are evolving. They access their bank accounts on their smart phones now and pay bills with a tab on their wearable device. They are even making investments based on the recommendation of an AI tool (that has extensively studied their savings goals and risk capacity). We are not talking about the unthinkable anymore. You can say that the other industries are adopting AI (and hence giving better customer services), and now the expectations from the financial segment are high. It’s not only the customers but also the regulators who want the banks and financial institutes to adopt newer technologies and find new ways to collate and analyze information. There was a time when the banks and other financial institutes adopted an e-business model for a selected few customers who were good at technology. It changed and now digital is not a choice anymore. Retail and commercial banking, insurance, wealth management, payments and other financial transactions cannot survive if these are not online. There was a time when millennials were primarily using digital wallets. Now everybody is using it. The only way forward for the financial sector is digital for improved customer experience. Experts feel that one of the major future trends that will dominate the financial sector will be ‘Customer Intelligence’. It will be the main factor to drive revenue growth and profitability. There is a lot of data everywhere and with the help of hyper-connectivity the banks and other financial companies will be able to leverage that data. Experts believe that by 2020 there will be 20 times more usable data compared to what we have today. Asset managers will be able to offer highly customized products and insurers will be benefited from all the data generated from wearable technologies. Big data analytics, sensors and devices connected to the Internet of Things will help in the analysis of data and offering customers what they value the most. Customers know the potential of their personal data so they look for highly customized experience as they’re getting more demanding. Gone are the days of customer loyalty so highly tailored solutions will be needed to retain high net worth customers. In the insurance industry, customer profiling and risk profiling will help create smarter policies. Customer Intelligence is the only way forward. AI is not new for banks. They are already using it for fraud detection and spot spurious financial activities. Robots are increasingly becoming capable of natural language processing, social and emotional intelligence, reasoning using logics, pattern identification, self-supervised learning, physical sensors, and mobility. AI and robotics are already being used in the financial sector and there are some major advances expected in the area. For example, robots have cognition, manipulation and interactive capabilities, just as intelligent as humans. In the trading segment, AI will help in predictive to prescriptive analysis, thus helping in better services with better response and preparedness to emerging trends. Capital Markets are already using AI in the form of algorithmic triggers in high-speed trading. In the coming days, private investors can also have better services given the improvisations in AI. AI will help make better decision in case of passive investments and help earn more returns from active investments. It will force asset managers to rethink about active asset fund management. In the insurance industry, AI will help to automate the underwriting process. Insurance professionals can focus more on assessing and managing risks, and product development. Even if AI will not be able to manage underwriting completely, a great deal of automation will help professionals get rid of mundane tasks. Banks will soon have AI-based client advisors, where the advisor is equipped with the all the information about the product, policies and procedures. Instantaneous and seamless transactions will be key to drive the banking business. Superior customer engagement will be driven with the help of customer analytics. The knowledge of customer behaviors and what they value will be significant to drive customer retention. After all the amazing AI enabled updates in the financial sector, here’s the bad news. Cyber Security will continue to remain a major threat in spite of the use of AI in case of fraud detection. Adoption of IoT and AI add to the cyber security risks but the same capabilities can help and protect the financial institutions against new threats. Financial organizations need to build a solid risk framework that is evaluated at regular intervals and to keep the data safe. There has to be a balance between customer convenience and security. There is a lot that the financial institutes need to do in order to prepare themselves for the future. There are way too many challenges like customers getting more demanding, cyber risks on the rise, regulations getting more stringent, and increasing competition. The ones to quickly innovate with technology, deploy AI and Robotics, have a robust cyber security program, and be able to offer highly customized product offering based on customer intelligence will lead the pack. Banks, insurance companies and other financial institutes need to redirect their funds (if they haven’t planned that already) to innovate, invest in advanced analytics, cloud adoption, and improve digital systems. You can speak to one of our experts to understand how your industry can prep for the future with AI.